AMS Inspection Rounds digitizes information collected during inspection routes to drive operations and maintenance action. By integrating information with automation systems, you have accurate, real-time information that enables better decision-making. Graphical dashboards deliver insight into plant condition, helping prioritize action and highlighting critical safety issues. 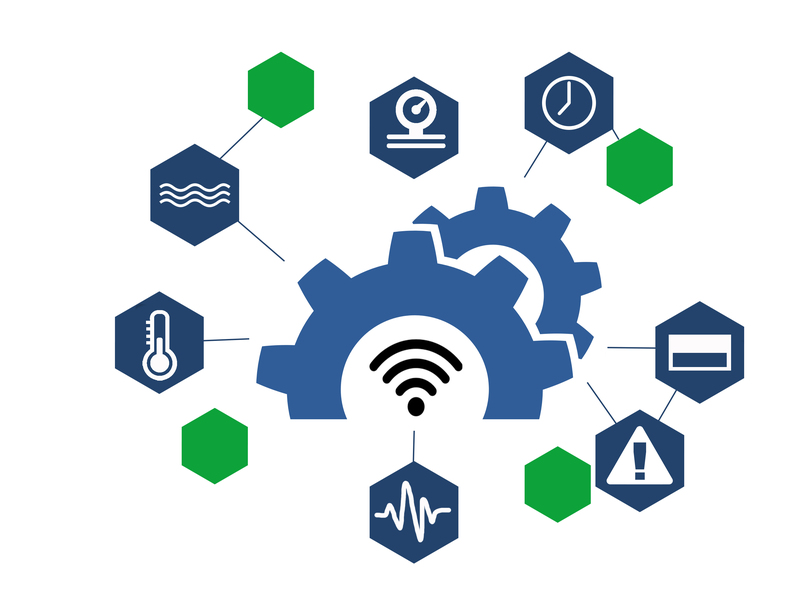 AMS Inspection Rounds delivers condition data to other plant systems via a wired or secure wi-fi connection, eliminating the need for manual entry. It also provides automated workflows to operations and maintenance personnel while they are in the field, ensuring complete, consistent, and repeatable collection of condition data. eMaint delivers ground-breaking asset reliability platforms that will help organizations increase uptime with a seamless integration of maintenance tools and software solutions. The power of eMaint’s CMMS software, combined with Fluke’s world-renowned testing and calibration equipment, offers the opportunity to unlock even greater solutions. With Fluke and eMaint, customers have even greater power to simplify complex workflows. Within eMaint’s CMMS system, you can work the way you want to work without feeling constrained by your software. We understand that every industry, company and department are different – you use different terminology, have different processes in place, comply to different regulations, and so on. eMaint makes it easy to configure your CMMS to fit your needs. 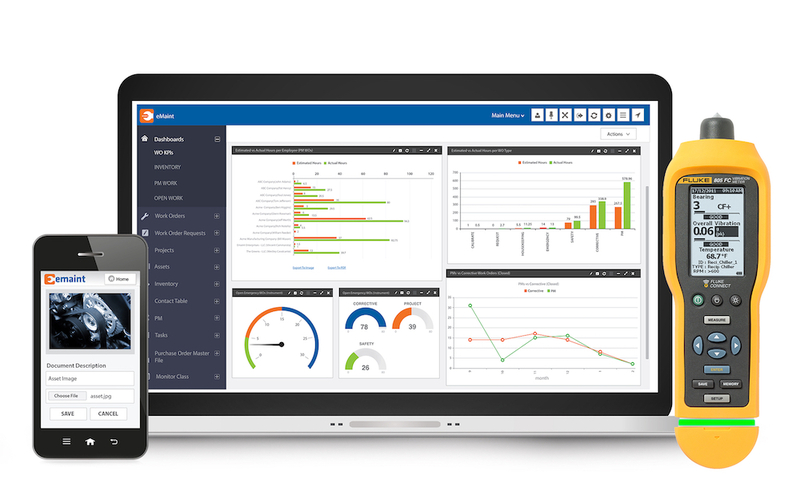 eMaint’s robust CMMS software empowers organizations to define and configure filters, layouts, fields, field properties, tables, colors and themes, workflows, dashboards, and record displays. Mobile Informer is developed by Interloc Solutions and delivers the full range of IBM Maximo Asset Management capabilities to your mobile device, including industry add-ons and customizations. Delivered as a native iOS and Android application, and without the need for additional middleware components or overhead, Mobile Informer ensures that users can complete important tasks in the field, even when offline. Through the utilization of Interloc’s Mobile Informer solution, mobile users are provided the ability to use phone hardware including cameras, fingerprint scanners, and 3rd-party connected devices. With standard available apps for Work Management, Inventory Management, and Bin Counting, Mobile Informer is the most effective approach to Maximo mobility that significantly increases workforce adoption, improves field productivity and efficiency all while reducing operational costs. Interloc’s Mobile Informer redefines the Maximo mobile experience across the enterprise. Visual Planner is a series of applications designed specifically to put in place a solid Work Week Management process, as outlined by industry best practices. The applications support the process from long term capacity planning and work load levelling to short term execution. They allow you to set up an x-weeks rolling schedule and determine the work and labor resources required every week to prevent equipment failures, approve the next week’s schedule and closely monitor the current week’s schedule compliance. Visual Planner provides the visibility for maintenance and operations to work as a team to maximize production capacity. 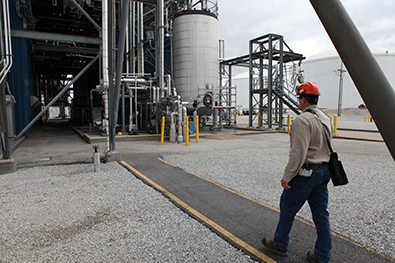 A solid Work Week management process is key in ensuring routine maintenance work execution is completed on time to ensure equipment reliability, while minimizing maintenance costs. Visual Planner is embedded inside SAP and IBM Maximo. It has won the IBM Tivoli Award for best software add-on. The WorkAlign® Suite is designed to enhance each step of the maintenance workflow. It complements and enhances an organization’s core ERP and Enterprise Asset Management system, helping to improve key maintenance work management processes by integrating asset and sensor related data with the work management processes. It also creates alignment between these processes and enhances the sharing of data. Each module in the Workalign® Suite performs a unique role within the digitalization of the work management processes and collectively creates an easily implementable strategy to maximize the value and ROI from an organization’s digitalization initiatives. 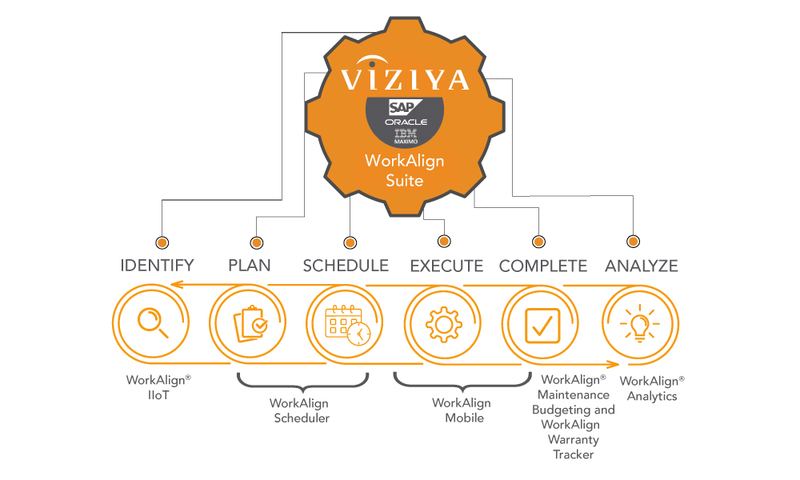 From identification to planning and scheduling, execution, completion and analysis, VIZIYA's WorkAlign® Suite helps organizations optimize their work execution management process.